Citizen science has the power to transform biodiversity research. But the amount of available data and the unsystematic way that these data are collected create challenges when trying to make inferences from the data. The Norwegian University of Science and Technology (NTNU) has launched a new, multidisciplinary effort to improve how citizen science is done, tackle issues related to citizen science data use and develop tools to more effectively use citizen science data to address ecological questions. 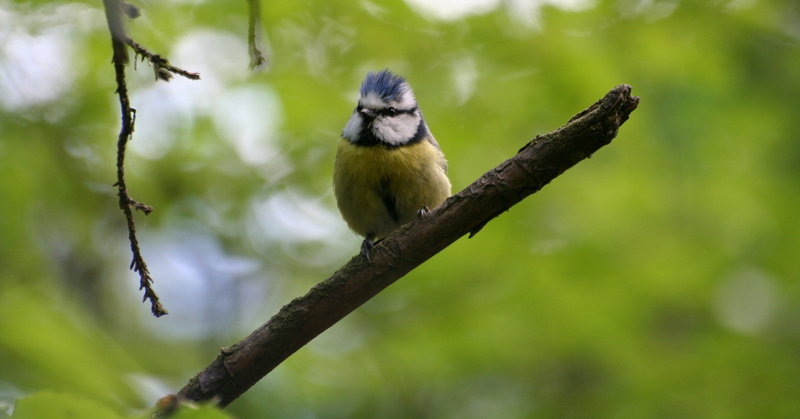 Although citizen science – the collection and analysis of data relating to the natural world by members of the general public – has been a part of observations of the natural world for longer than there have been scientists, recent digital developments have vastly expanded the potential for input from citizens scientists into the study of biodiversity and associated impacts (Bonney et al. 2014). Mobile phone apps, such as iNaturalist or eBird, make it easy to report sightings of species, and these are uploaded to large databases, such as Artsobservasjoner in Norway, the National Biodiversity Network in the UK and eBird (based in the USA, but covering birds globally). The amount of data that is collected is massive: the current most comprehensive global data aggregator of biodiversity data, the Global Biodiversity Information Facility (GBIF), currently contains nearly 500 million records from Citizen Science data projects. Ecologists are starting to come to grips with the potential that this citizen science data holds, but the amount of data and the unsystematic way the data are collected provides challenges when trying to make inferences from the data (e.g. Isaac ​et al., 2014). This project aims to transform the situation, by developing and providing tools and methods that will (1) encourage citizens to collect data, (2) help scientists correctly interpret and use this data, and (3) provide information back to the citizens about how the data they have collected is being used. Doing this will transform of the way that ecological is done, from a linear system of collection and use of data to a virtuous cycle where the value of data collected by citizen scientists is enhanced through improved methods for analysis and presentation, and this then empower citizens by showing that their efforts have value. We will develop models and methods to correct biases in citizen science data, which arise because citizens tend to collect data close to where they live or spend their leisure time. With this we can develop a digital atlas of biodiversity that can be continuously updated to show where we can expect species to be observed (rather than where they have been observed, as atlases currently do), and use this communicate where data under-represent biodiversity, so that sampling can concentrate on these areas. Models will be developed to identify mis-identifications or under-reporting of species, drawing information across species. These will be used to automatically flag observations and areas that might need more investigation. Online, visual tools to report the outputs of the atlas and gaps in our knowledge will be developed so that these can be reported back to citizen scientists, to demonstrate both the value of their information, and where collection can be improved. We will look at how we can encourage citizen scientists to collect a wider range of data, to ground-truth remote sensing data (thus transforming the quality of this digital data). The tools will be brought together in a case study to show how citizen science data (both biodiversity data and observations of the wider environment) can be applied to improve the understanding of the dynamics and distributions of species that are of high importance to public sector and commercial interests. The project is a new initiative with partners from four NTNU faculties, along with two external partners. The group has core competencies in GIS, statistical modelling, and the use of citizen science data to tackle problems in very different aspects of ecology. ©2019 Transforming citizen science for biodiversity. All content CC BY 4.0 unless specified otherwise.